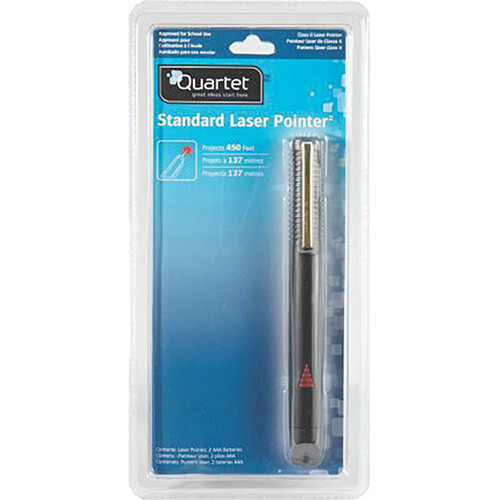 The Quartet High Impact Plastic Red Laser Pointer from Apollo is a laser pointer that is housed in a high-impact plastic barrel with a pocket clip. Its bright red laser dot can be projected onto any surface up to 450' away as needed, making it well-suited for small venues. This is a class 2 laser and the (2) AAA batteries required to power it are included with the device. Box Dimensions (LxWxH) 8.3 x 4.0 x 0.85"